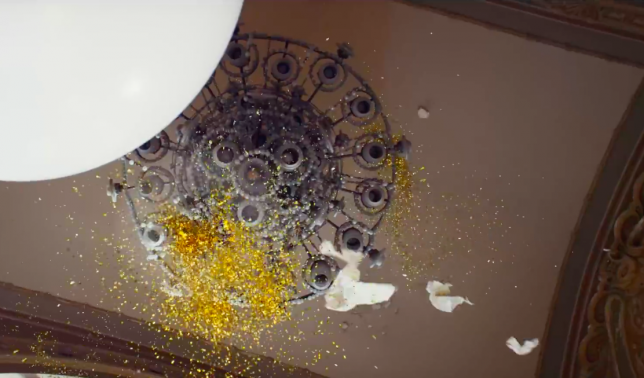 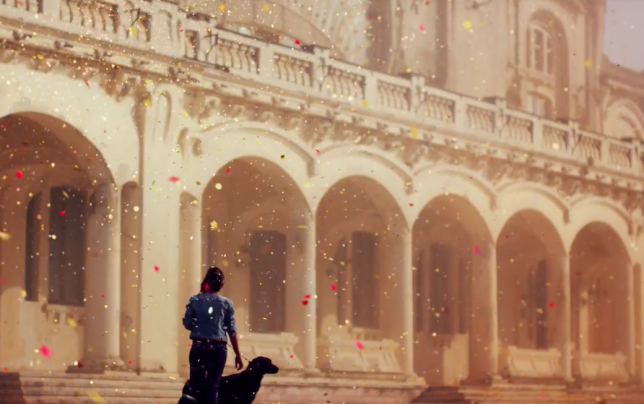 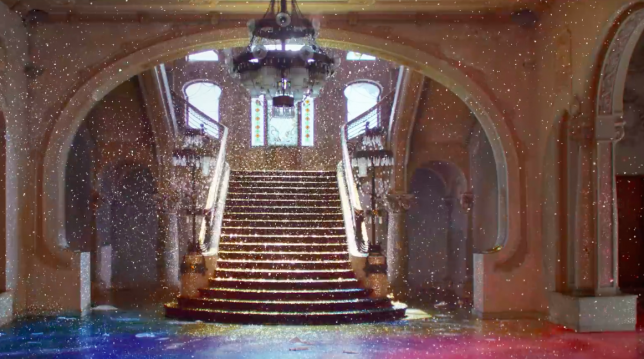 An abandoned Romanian casino long past its prime is infused with new life in the form of thousands of colorful glitter bombs in this striking ad by Sony for its range of BRAVIA 4K HDR televisions. 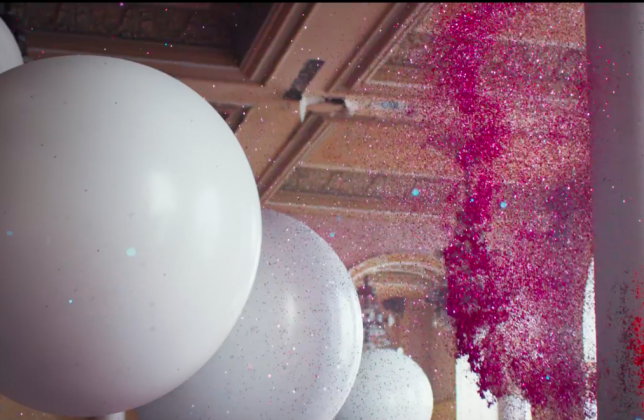 The whole thing was shot in 4K, capturing every little piece of glitter as it explodes out of popping balloons packed floor-to-ceiling inside the aging structure. 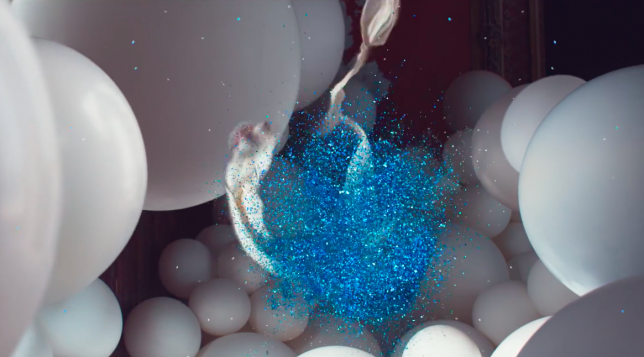 Over 4,000 balloons and 3,300 pounds of glitter were used to create the ad. 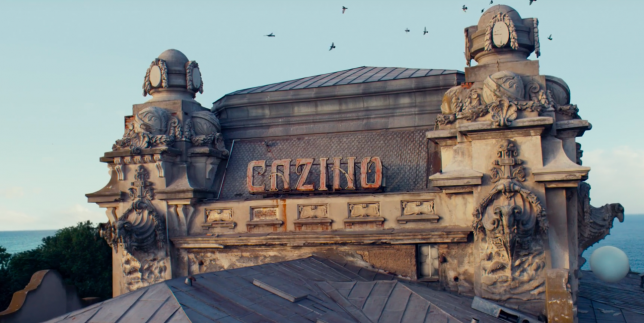 Onlookers began to gather outside the casino on the day of the shoot, drawn by the strange sight of all those white balloons stacked up inside the elegant arched windows. 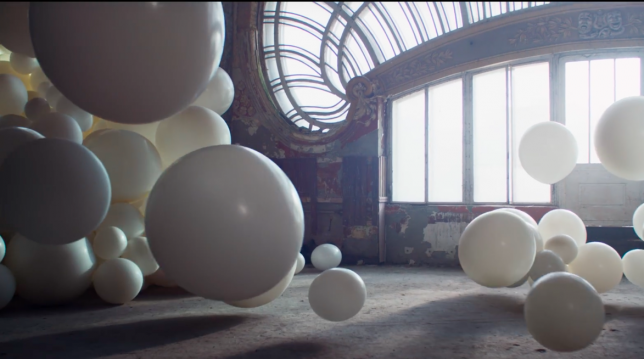 In the film, a single balloon begins tumbling through the space until it’s almost entirely filled with them. 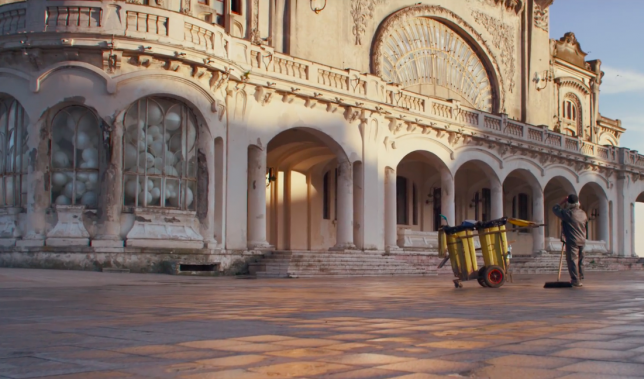 As you can probably imagine, it would have been hard for a photographer to hit the trigger fast enough to capture the action at just the right milliseconds – but they found a clever way around that. 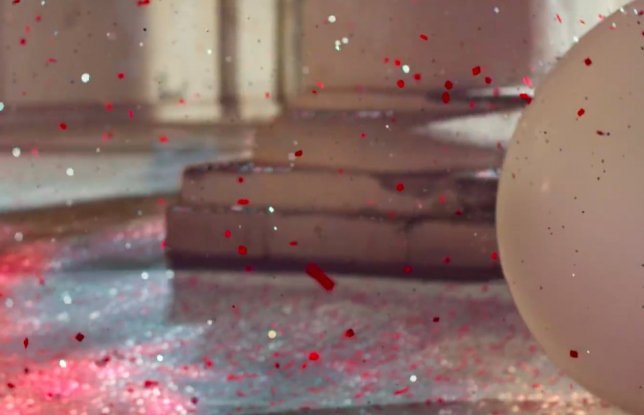 High-speed photographer Fabian Hefner attached a noise sensor to his camera shutter so it triggered every time a balloon popped. 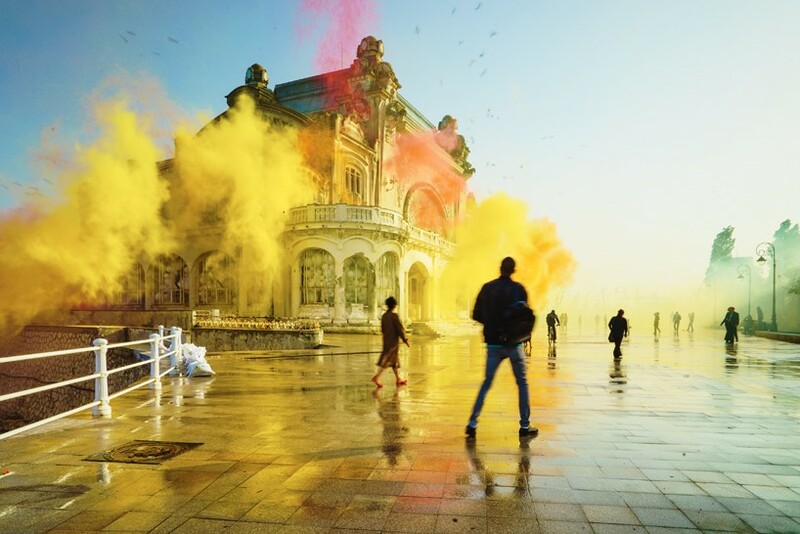 Sony commissioned singer-songwriter Tom Odell to re-record the Cyndi Lauper song ‘True Colors’ for the ad, which will be released as a single on September 30th. 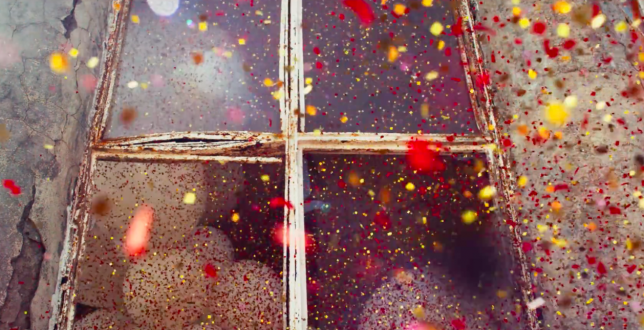 Watching the whole video is definitely worth a few minutes of your time, just for the satisfaction of seeing glitter spew absolutely everywhere – in 4K, if your connection allows.